An Allor electronic cigarette contains no tar, tobacco or carbon monoxide. Allor ecigarettes are a healthier alternative to traditional tobacco cigarettes. Allor ecigarettes fulfill nicotine cravings. 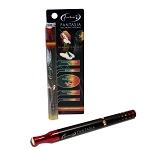 Features a soft tip filter and stylish design with a crystal tip. The Allor ecigarette line is an affordable electronic vaporizer that can be utilized as an alternative to traditional smoking. It is built and designed in a way that fulfills the nicotine craving of a traditional cigarette; it is also stylish in design featuring a crystal tip, soft filter and glowing LED light. 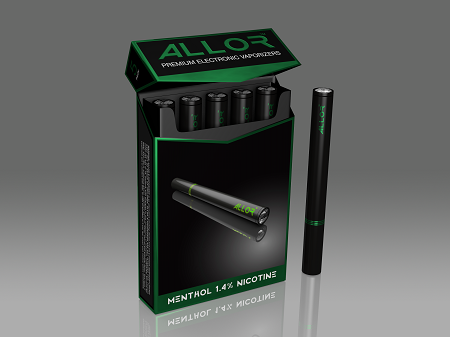 Allor e-cigs are free of tar, tobacco, carbon monoxide, and other harmful toxins and are available in two flavors: Menthol and Tobacco (1.4% nicotine). Each Allor electronic cigarette contains up to 500 puffs (Based on two second inhalation). 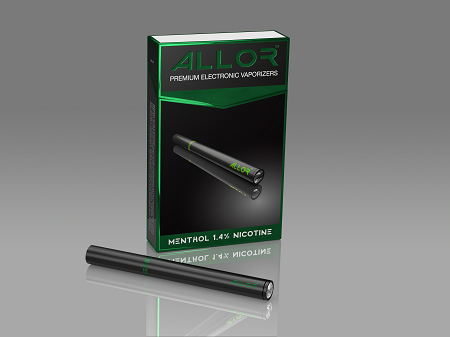 Allor e-cigarettes are available in traditional tobacco and menthol flavors. Looking for a non-nicotine ecigarette alternative? Check out our Hipnotic ehookah ecigarettes and Zuzi shisha sticks. Our nicotine free electronic cigarettes come in over 15 exotic flavors and are tobacco and toxin free.